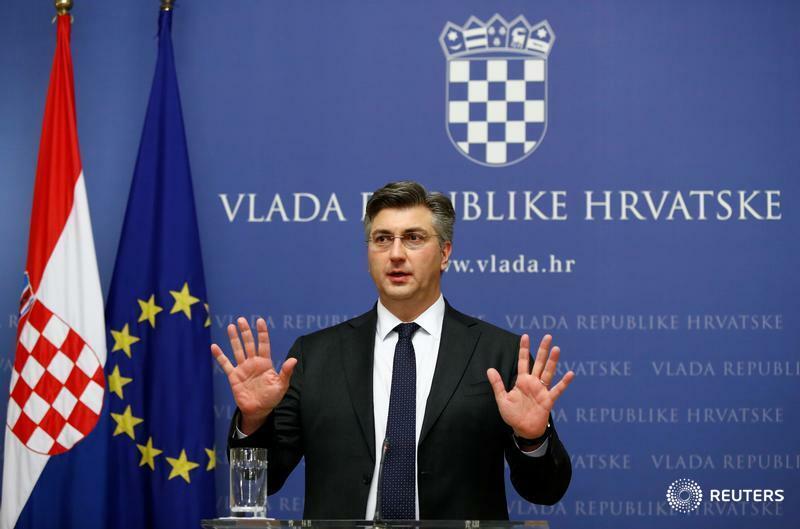 ZAGREB (Reuters) — Several thousand people protested in Croatia's capital on Saturday over government plans to raise the retirement age to 67 and cut pensions for those who retire early. Last week the government asked parliament to pass legislation lifting the retirement age of 65 from 2033 onwards, defending the reform as a step in efforts to make the pension system sustainable. The bill also includes a proposal to cut the pensions of people who stop working before reaching retirement age by about four per cent per year. "There is a lot of misery and bitterness in us. Isn't such a retirement proposal irresponsible towards our workers and pensioners?" Kresimir Sever, one of the leaders of the trade unions that organized the protest, told the crowd gathered in central Zagreb. Some of the demonstrators shouted "Thieves!" and many held banners accusing the government of impoverishing pensioners and workers. "From school to unemployment, from work to graveyard," read one of the banners. For a referendum to take place, supporters of the ballot must collect the signatures of 10 per cent of the electorate, equivalent to roughly 375,000 people.